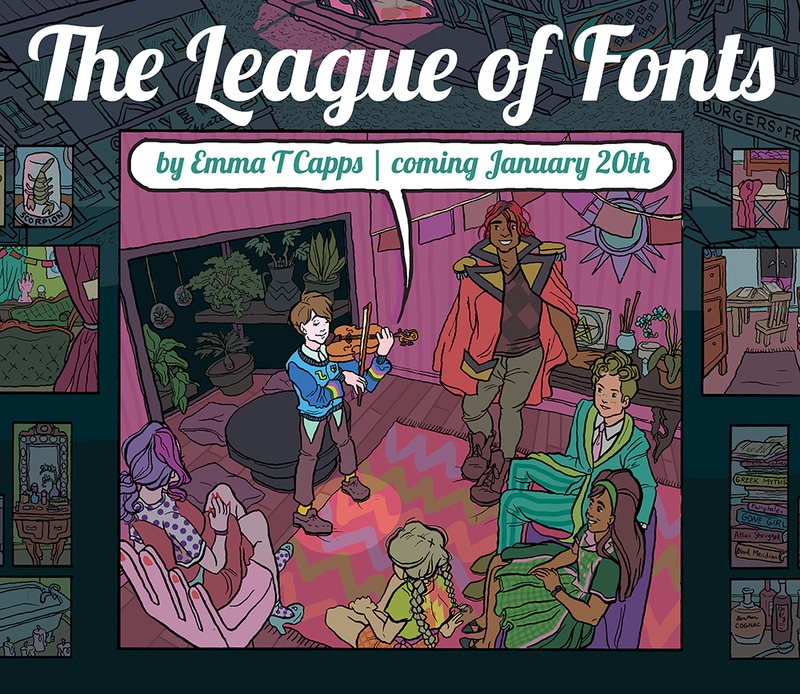 COMING SOON: The League of Fonts! New from the creator of The Chapel Chronicles! Hi! Any plans to add an RSS feed? I'd hate to lose your comic amongst all the other ones that I read. I hadn't thought to add an RSS feed because people never seemed to use it on my old comic, so I (clearly mistakenly) thought it wasn't something many people used anymore. But since it looks like I'm wrong, I'll see if we can add one! And I hope, until we get it running, that you'll still try and keep up! If you use any alternative platforms for comic update reminders, like Facebook or Tumblr, you can click the "Links" page up top to subscribe to LoF updates on either of those. finally gonna see this story and all these characters come to life. the preview image alone has me BEYOND psyched. can't wait!! Thank you so much Matty!!!! All of the pages will have about this same level of detail - I'm really trying to pull out all the stops with the art! Yay! I'm glad you're excited! Wow this looks so incredible--I can't wait! Thank you so much! I'm so glad people are excited!